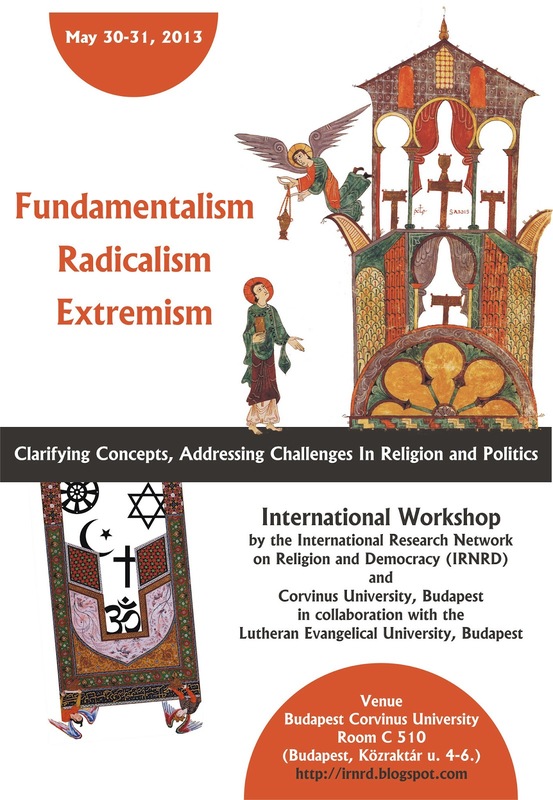 The concepts of fundamentalism, radicalism and extremism have warranted central attention in the contemporary public discourse on religion and politics. Evidently, the socio-political developments of the last decade, not least the violence, make it imperative to address these problems and the challenges generated by them. However, it is a rather general phenomenon both in public discourse and media, and even within academic discourse, that these concepts are used without precision, often serving merely as tools for the disqualification of religious positions in general or of an essentialist rhetoric of describing certain traditions or movements, especially but not exclusively Islam. This conference will be the forum for a thorough discussion aiming to clarify these concepts and the problems related to them. How can the concepts of fundamentalism, radicalism and extremism be analytically distinguished and how can we define their inter-relation? How are these concepts and the respective phenomena to be analysed within the contemporary religio-political context? Is violence a necessary constituent of ‘fundamentalism’, on the one hand, and can democratic societies find a kind of status quo of the co-existence with ‘fundamentalist’ groups, on the other hand? How do these phenomena influence the political discourse on national and international levels? These and related problems will be discussed by distinguished experts of the field. The multi-disciplinary conference includes contributions from sociology, philosophy, theology, legal theory, political theory, and so on. For the program, please visit the website of the workshop here.